newchoir ? Sign up here for an audition! Support our mission to bring a modern choir repertoire to Canada! Have you been searching for a musical group that challenges the conventional definition of a choir? Well look no further. 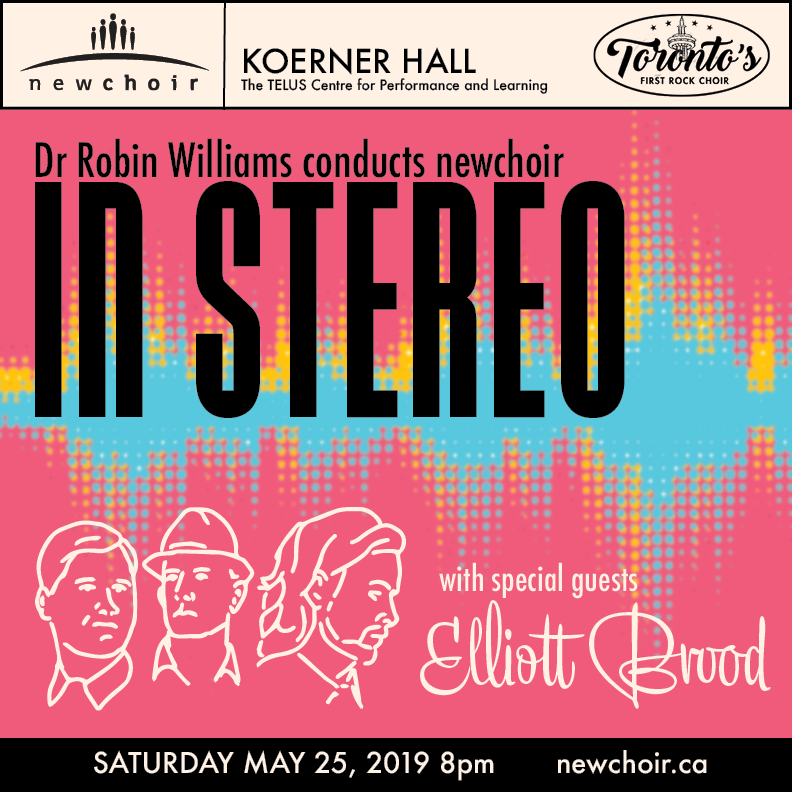 newchoir , Toronto’s first rock choir, creates full-on rock concert experiences using unexpected SATB arrangements of classic rock and pop songs from every decade since the 1960s. newchoir was founded in 2005. Our Artistic Director is Dr. Robin Williams. We hope you'll come hear us - the choir that rocks! Join us May 25 at the beautiful Koerner Hall at the Telus Centre for Performance and Learning. to Blue Rodeo, we're covering all the notes. We're excited to be joined for the evening by Hamilton band, Elliott Brood. Click on the poster to go to the RCMusic website for tickets.